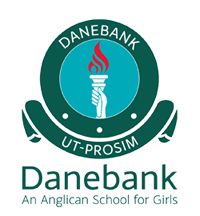 Danebank welcomes students from a wide geographical area, chiefly from the St George and Sutherland Shires. Danebank’s central location in Hurstville provides easy access to trains that run on the Illawarra (Southern) Line. Hurstville is also a central hub for buses that serve customers from adjoining areas such as St George, Sutherland, Bankstown and Rockdale directions. Junior School students may access the school’s bus service if required. For secondary students, the school is located a short walk from Hurstville train station which is also a central bus terminus. Secondary students have a specified walking route between the station and the school. Danebank’s impressive campus spans between Park Road and The Avenue, Hurstville. Our facilities contain state-of-the-art infrastructure and equipment. Browse our facilities here.